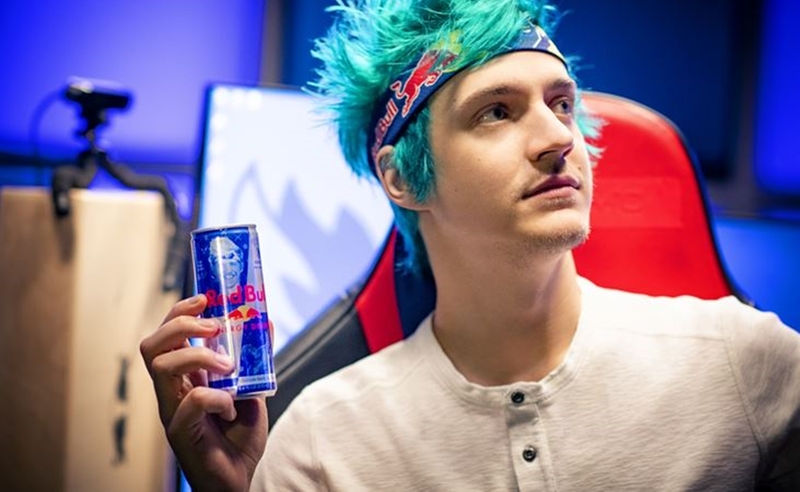 Energy drink maker Red Bull, which has been an early adapter in the digital media industry, and which operates an endorsement deal with one of the world’s foremost gaming personalities, Tyler ‘Ninja’ Blevins, has just elevated that pact to new heights. A new, limited-edition Ninja-themed 8.4-oz. beverage can will hit shelves nationwide on April 1 — in what appears not to be an April Fool’s Joke. The can will be available while supplies last in both four and twelve-packs. Red Bull notes that this is the first time that it has featured an esports athlete on its packaging, and that its decision serves to illuminate its commitment to the space. Red Bull delivered the newly-designed the can via a drone to an unsuspecting Blevins while he was on a photoshoot for the brand — and captured the moment on camera , naturally, which you can check out below. As part of the launch, Red Bull is also holding a contest whereby fans can win the chance to meet-and-game with the Fortnite star, who counts 13.8 million followers on Twitch. Submissions can be tendered at Ninja.RedBull.com, where fans can upload a picture or video creatively showcasing the ways in which they game. The winner will be flown to a Red Bull gaming event, and four runners-up will receive Ninja merch and premium gaming hardware. This is far from the first groundbreaking accolade claimed by the esports icon, who recently re-upped his deal with talent management company Loaded. The 27-year-old has also starred in a Super Bowl commercial, streamed in Times Square on New Year’s Eve, launched his own EDM compilation album, and became the first esports star to cover ESPN Magazine.